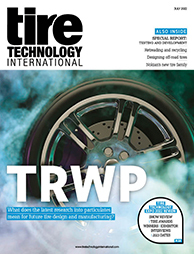 Italian manufacturer of tire fabrication machinery, Matteuzzi, will have the latest on its new ‘Smart’ machine concept, which includes grinding, trimming and white sidewall buffing machines. These all feature laser profilometers and high-performance cameras to perform continuous tire data acquisition. The equipment enables automatic definition of processing parameters and fully automated recipe-controlled tire processing cycles. 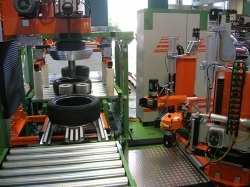 The result is that tirespecific features and critical aspects are taken into account, cycle time is optimized, and the machine is fully integrated into the plant production. The company has also announced that it is expanding its facility and offices near Bologna for greater production capacity and more advanced R&D.